Let us help you get your weekends back! 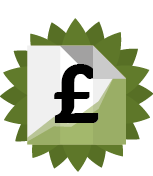 We will keep your expenses and bookkeeping up-to-date so you can clearly see how your company is performing. We prefer using Cloud software like Xero, Quickbooks Intuit or Sage On-line as it streamlines processes and provides clear reports. Where appropriate, we will suggest tools and apps we could introduce to help automate the process to save time. Our service also includes VAT returns and payroll.